To follow up on last week’s article profiling consultants who are working on the proposed new Estonian Centre, here are profiles on two more who are an integral part of the project team. The proposed centre’s property consists of the house at 11 Madison Avenue (currently held by the Estonian Credit Union) and the parking lot at 9 Madison Avenue, which is located between the house and Tartu College. The parking lot is owned by the City of Toronto and, at the end of April, approved the transfer of this property for sale to the ECU, Tartu College and the Estonian Foundation of Canada in order to proceed with the Estonian Centre project. This was a significant milestone in working toward making the new centre a reality. 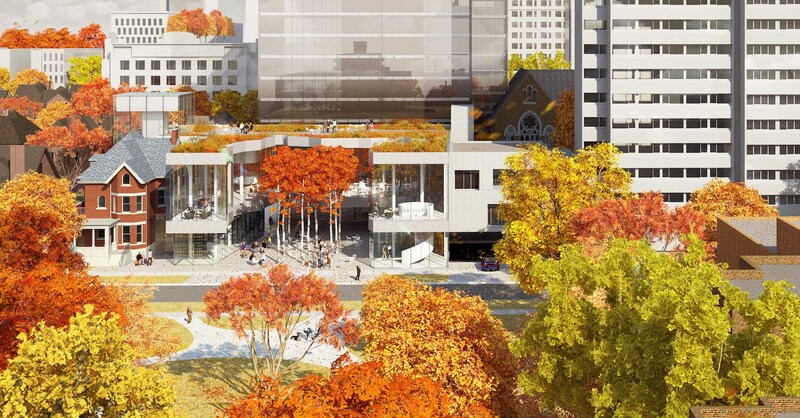 Designing the intricacies of a firm foundation for the proposed new Estonian Centre on Madison Avenue in downtown Toronto is the important task ahead for structural engineer Eric Gordon. As a Principal with Entuitive, the consulting company responsible for designing the skeleton or structure of the building, it is his job to ensure that the “bones” of the building are sound and support the architect’s design. “We want to ensure that the structure of the building is built in such a way as to provide the most comfortable and functional environment possible for the people who will use it,” Eric explained. Eric’s portfolio of work includes several world-renowned art galleries and museums including the major transformation project at the Art Gallery of Ontario and the Aga Khan Museum, both key cultural institutions located in Toronto. He has an international portfolio that includes work in the United Kingdom, the Middle East, the United States and Canada. Eric has also worked on numerous award-winning higher education and institutional buildings throughout North America. A challenging component of designing the new Estonian Centre is the fact that it will be located above two subway tunnels, much like the Four Seasons Centre for the Performing Arts in downtown Toronto, which is home to the Canadian Opera Company as well as the National Ballet of Canada. “We will span the tunnels like a bridge when we design the structure of the building,” he said. Eric will be working with noise and vibration consultant Mihkel Toome of RWDI, who was profiled in last week’s project update. Together, they will ensure that any vibration and noise from the subway line will be mitigated. This is often accomplished through the installation of materials such as soft rubber pads that insulate the building’s foundation. 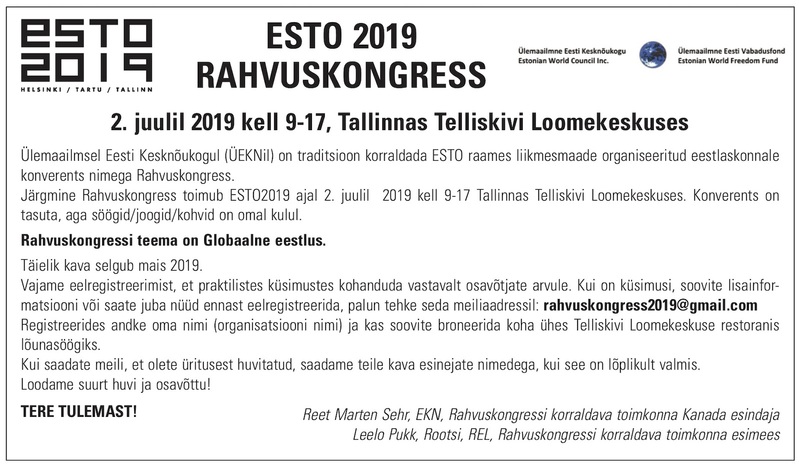 Eric is very pleased and excited to be working on the Estonian Centre project. Robyn Huether, Principal, Robyn Huether Architect Inc.
A fascinating and very important aspect of the new Estonian Centre project is the incorporation of 11 Madison Avenue, a heritage property, into the design of the building. Ensuring that this is done according to city requirements and conservation guidelines is the job of architect Robyn Huether, who specializes in the practice of heritage architecture. Robyn explained that the new centre is located in a heritage conservation district in the Annex, a historically significant part of downtown Toronto. The house at 11 Madison Avenue, which was built in 1890, will form part of the building. It is Robyn’s role to study the history of 11 Madison and prepare a heritage impact assessment for the centre. She digs into the history of the building and examines how many of the original features are still intact. She consults sources such as the Ontario Heritage Act, the City’s Official Plan and Parks Canada Standards and Guidelines to assess the impact of the development on the Heritage Conservation District. Part of the report includes recommendations on how to preserve and maintain a property’s heritage features. She said that 11 Madison is a good example of the neighborhood’s original architecture. Though much of the interior detailing has been removed over the years, and it looks as though the location of the entrance has been changed, the roof wood detailing remains intact. And under the paint, it also appears as though the exterior masonry is original. In her research, Robyn located some photographs of the house dating from the 1940s-60s, which helped her piece together its history. The house and the new construction that will take place in the current parking lot area at 9 Madison will likely be joined via an atrium type of structure that will bring the two spaces together. Robyn, who has been practising for over 15 years and has operated her own consulting business for the past eight years, also specializes in residential design. She is honored to work on this project. She added that the Annex ratepayers’ meeting held last fall to review the project was one of the most positive she had ever attended.